You are here: Home / Blog / 35 Christmas’ with Ebenezer Scrooge! 35 Christmas’ with Ebenezer Scrooge! Alister Sim (1951), Mr. McGoo (1962), Albert Finney (1970), Laird Williamson (1977), George C. Scott (1984), Gordon Jump (1986), Patrick Stewart (1999), Jim Carrey (2009), all have played the miserly and wretched central character in various movie, stage and television versions of Dickens’ 1843 classic A Christmas Carol. I have seen all of them perform the role in these productions, but my favorite “Scrooge” is Rodger Hoopman! 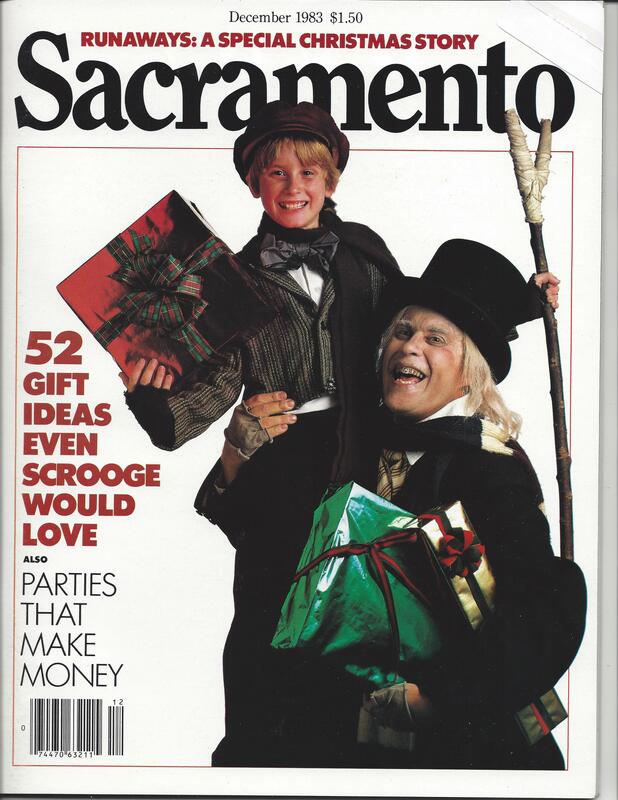 Every year since 1979, Hoopman, a professional actor, college theater professor, and theatrical producer has been delighting, lifting and bringing the true spirit of Christmas to community theater audiences in greater Sacramento and northern California as he has taken the stage as Scrooge in what now numbers over 500 performances. We recently delivered a TK Products Mannequin to the Chautauqua Playhouse in Carmichael California where “Scrooge”, a musical version of the play is being mounted again this year with Hoopman in the starring role. It gave us a chance to throw a few costumes on one of our most popular products for Cos Players and theater companies costume shops. It also gave us a chance to sit down and have a welcome visit with Rodger. Catch a video of part of that visit below. One of the great things about Roger Hoopman’s involvement with Scrooge over the years has been that on many of the years much of the proceeds from the production have gone to various charities including Make-A-Wish. In the play, Scrooge is visited by his deceased former partner Jacob Marley who warns him of what lies ahead for him if he does not change his ways, and tells him he will be visited by three spirits. In the course of the night, the spirits of Christmas Past, Christmas Present and Christmas Future help Ebenezer Scrooge awaken a new person. Transformed, he vows to make life better for those around him, especially for his clerk Bob Cratchit and his family including Tiny Tim. Dicken’s describes the redemptive transformation in these words: “Scrooge was better than his word. He did it all, and infinitely more; and to Tiny Tim, who did NOT die, he was a second father. He became as good a friend, as good a master, and as good a man as the good old City knew… And it was always said of him that he knew how to keep Christmas well, if any man alive possessed the knowledge. May that be truly said of us, and all of us!” All who know Rodger Hoopman, and especially those who have performed in the Christmas Classic with him certainly will agree that indeed he is a good friend and a good man, and that he has been keeping Christmas well for these 35 seasons.